Where did you say you were? Expedition log. March 2, 2015. King Abdullah University of Science and Technology (KAUST), Thuwal, Saudi Arabia. After a grueling 48+ hours of travel (including driving to and from airports, flight time, and layovers), we have arrived in Saudi Arabia. My feet hurt, my back hurts, my head hurts, and I am exhausted. In 2015, it should never take so long to get really anywhere. But we booked our flights only a week ago; our visas arrived only the day before we left. As a result of the last-minute nature of the plans, our itinerary had us stop in San Francisco, Chicago, Frankfurt, and finally Jeddah. There was enough time during the layover in San Francisco for the film guys David and Justin to meet with some family for dinner outside the airport, and enough time in Chicago for all of us to get a brief driving tour of the city. Having never been to Chicago, myself, I thoroughly enjoyed this time despite a fog of exhaustion and stale clothing. But at this point, I really only look forward to a good night’s sleep. Expedition log. March 4, 2015. KAUST, Thuwal, Saudi Arabia. We spent the last few days recovering from our travel, meeting members of our host lab, and getting acquainted with KAUST. What a fascinating place. An entire university town, built from scratch in the middle of the desert, in just a couple of years. The buildings are vast, monolithic, even monumental. I am living in student housing that reminds me more of a palace, with three floors, a full-sized bed, and an expansive balcony that allows me to enjoy the pleasant nighttime air. It’s more than impressive. And yet, there are odd signs of the quick planning and construction. Sidewalks that go nowhere, maps with no labels, shoddy adhesives leading to missing lettering on the signage. Yes, a strange place. Expedition log. March 5, 2015. KAUST, Thuwal, Saudi Arabia. We got our first dives in, today. What amazing reefs! The weather was a little rough, and we got a bit seasick during the extended attempts at anchoring, but once we hit the water, it all went away. 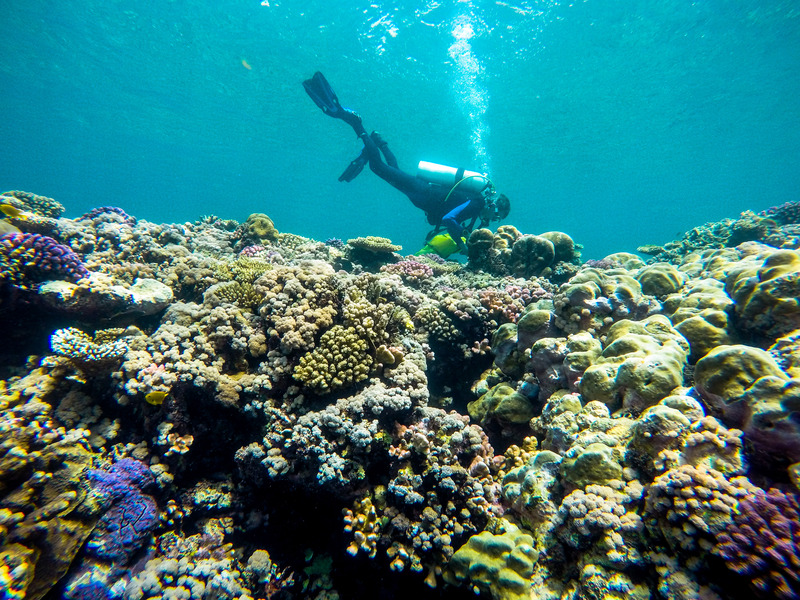 The surge made collecting samples nearly impossible, so for the most part we settled with some exploratory dives, taking in the sights and getting up to speed on the local coral types. Incredibly, although we only expected to find somewhere between 4 and 8 coral groups (out of a total of 21+ worldwide), within three dives I had spotted 12, and expect to find at least one more. Those numbers rival what I found last year in Australia, and many genera overlap! This will be a very productive trip! Expedition log. March 9, 2015. Somewhere between Saudi Arabia and Sudan. No land in sight. We slept on the boat in port last night and steamed out to the Farasan Banks early in the morning. Tried to get a sampling dive in before breakfast… and I’ve decided that in the future I will not again work before eating. But after the first dive and a veritable feast prepared by the crew, subsequent trips under the surface proved productive. We visited four reefs today and got a good diversity of samples from two of them. We are off to a good start! Expedition log. March 16, 2015. KAUST, Thuwal, Saudi Arabia. After five days of diving, a long day exploring Jeddah, and a day getting ready for the other three guys to leave, I am exhausted! I spent yesterday getting caught up with computer work, and have started to organize our metadata and photos. Finally, I have some time to share some of the incredible sights we’ve been witnessing for the last couple weeks! What a busy couple weeks it has been. I have never been so stressed during the planning for a trip – acquiring all the necessary permissions to travel, getting visas and flights and paperwork ready – it was crazy! I hope you never get a visa to travel only a day before your flights. And since Jesse, David, and Justin only had two weeks here to get things done, we’ve been packing the days full ever since. Whew! 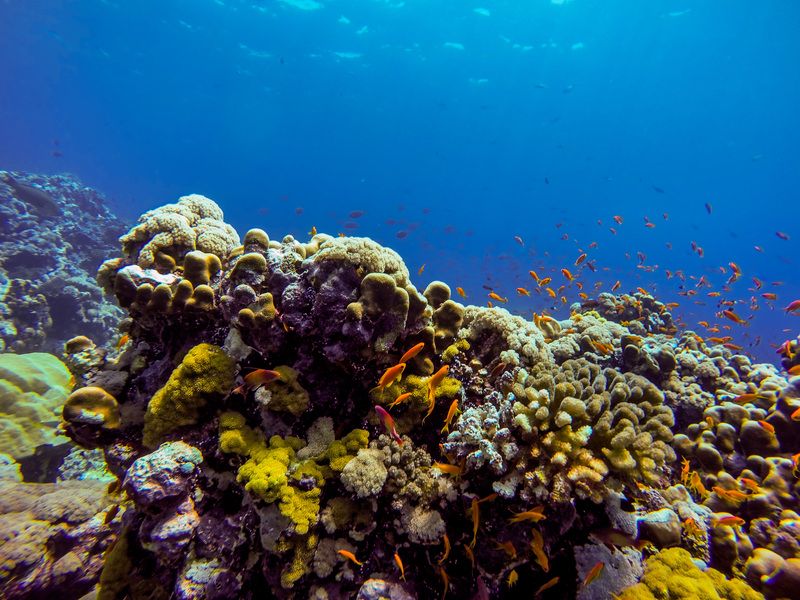 The Red Sea has some of the most incredible reefs in the world. Surrounded by desert, there is little to no run-off or pollution to muck up the waters. As a result, the visibility is amazing, the colors are mind-blowing, and the corals are as happy as they could possibly be. What’s more – they’re healthy despite the fact that the water temperatures here are way higher than the bleaching thresholds at reefs anywhere else in the world. We’re continuing the project I started last year in Australia, looking into the different microbes that interact with corals around the world, and we decided we couldn’t generalize about all corals globally unless we included the corals from this unique environment. As you can tell by my logs, we were successful in our collections. Now, I have some labwork to do – DNA extractions, bacterial culturing, and coral species identification using microscopic skeletal features. I’m sure it’ll be a blast! 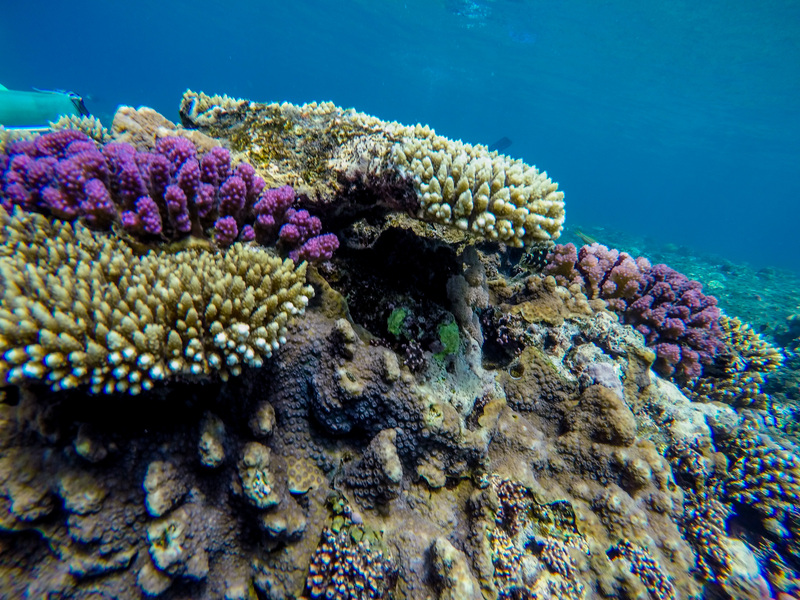 This entry was posted in GCMP Update, Science, Travel and tagged fieldwork, GCMP, Global Coral Microbiome Project, KAUST, King Abdullah University of Science and Technology, Red Sea, Saudi Arabia by Ryan. Bookmark the permalink.